The Apple Watch is making a big splash around the world in fashion magazines, and can now add Hong Kong’s East Touch magazine to its list of tour stops. East Touch is running a four-page spread about the smartwatch in its most current edition, now out on newsstands. The full-color editorial features the Apple Watch and Apple Watch Sport in various settings, showing fashion merging with technology. This isn’t the first magazine editorial to feature the Apple Watch, of course. We told you that the smartwatch was featured in a multi-page ad spread in the March edition of U.S. fashion magazine Vogue, and has also made appearances in several other fashion magazines around the world. 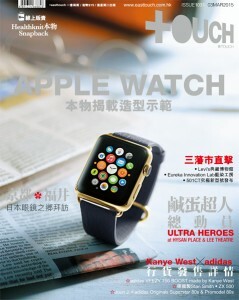 The Apple Watch has also been featured in Vogue China, Vogue France, Self, and the U.K. Style magazine, along with fashion titles in France and Germany. 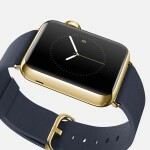 As you can see in the images, via 9to5mac.com, the smartwatch is shown in various situations from business to casual, showing how versatile the Apple Watch can be as a part of your wardrobe.